What do we look for in a free theme to be listed here? Initially we look for good design, there are so many poorly designed themes available so with our eye for a solid and well put-together design that is the starting point. There are too many themes, however well coded they may be, if they have a poor design they are discounted. Then we look at the code quality, generally if a theme is listed on the WordPress.org directory it has been through a series of reviews by the theme review team so the code will be up to a high standard compared to themes which are just released “out in the wild”. Finally we look at other details, like is the theme responsive? In this day and age, there is no excuse to not make your themes responsive so they look good on different sized screens. Does the theme load fast? This is important, excessive use of scripts or other bloated elements will slow you down and can cause penalties in the search engines. All the themes on this list have met our high standards and we have hand-picked 5o different themes for all the types of website you could wish to create. 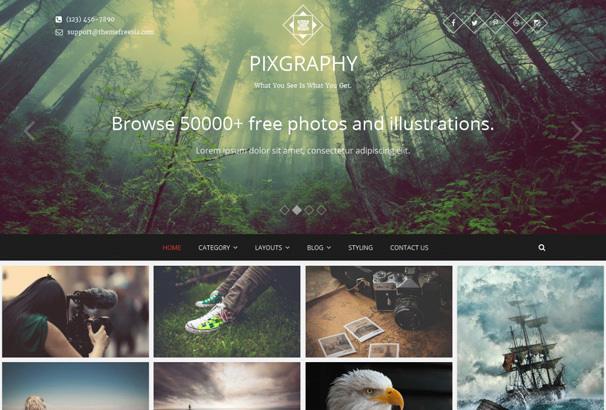 In this collection are blogging themes, business themes, photography themes, eCommerce themes, magazine themes and one-page themes. 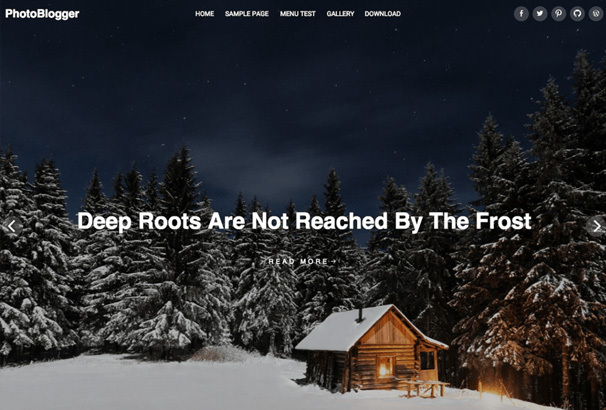 Take a look below as we look back over a year of the best and most well-designed WordPress themes that you can download and start using now for free. 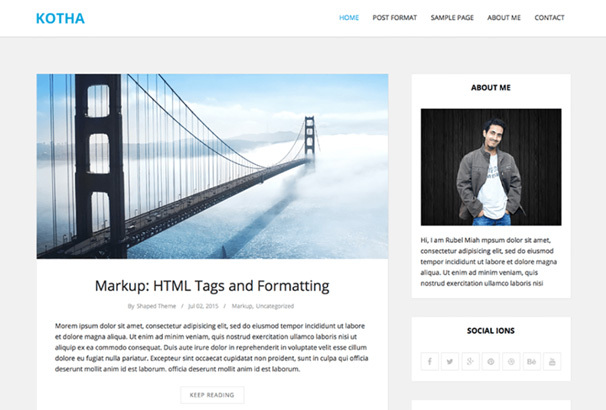 18 Tags is one of the best and most efficient website themes that we have. Named in honour of Tim Berners-Lee, the founder of the World Wide Web, since his first HTML document contained 18 tags. 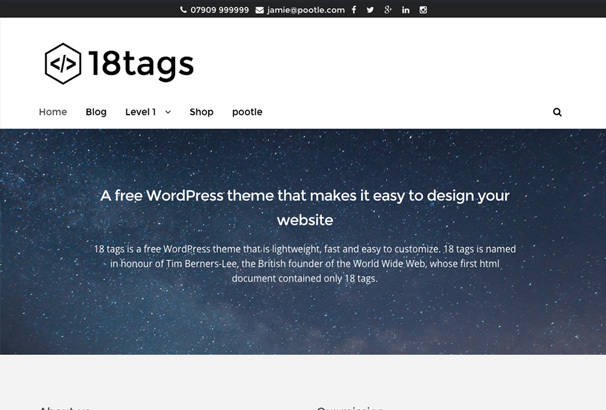 18 Tags is one of the most customizable and easy to use website themes. Its elegant and simple design paired with its practicality, 18 Tags is a favourite among all minimalists. 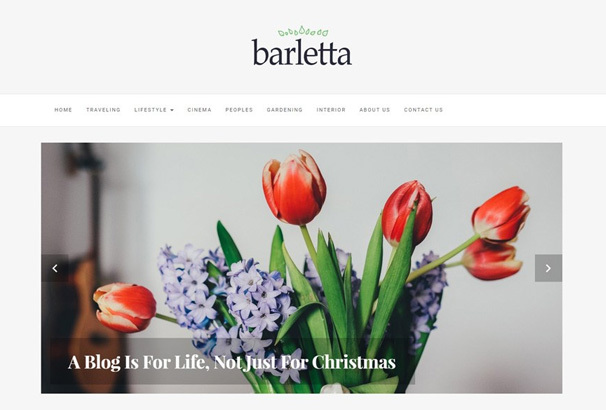 Paraxis Lite is a really contemporary masonry website theme that is best suited for fashion and lifestyle bloggers and bloggers in general. This stylish website theme comes with unlimited colour variations, a responsive design and a big parallax header image. 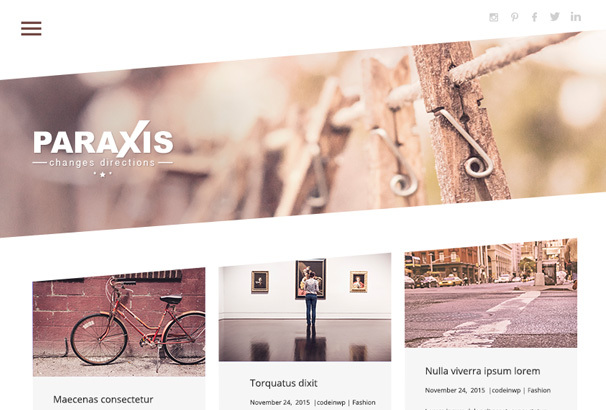 With its contemporary design and high speed and efficiency, Paraxis Lite is the perfect theme for all bloggers. As the name itself suggests, Restaurant Advisor is the perfect theme for people with content related to food. 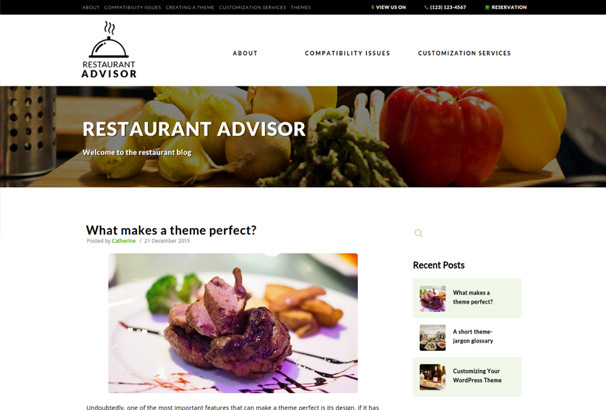 A highly responsive theme, Restaurant Advisor has a really smart and intuitive interface. Perfect for restaurant bloggers and food critics, the imagery and typography of this theme helps you grab the attention of all the foodies out there. In addition to having an exquisite design, Restaurant Advisor is really efficient technologically and helps you create an amazing website. 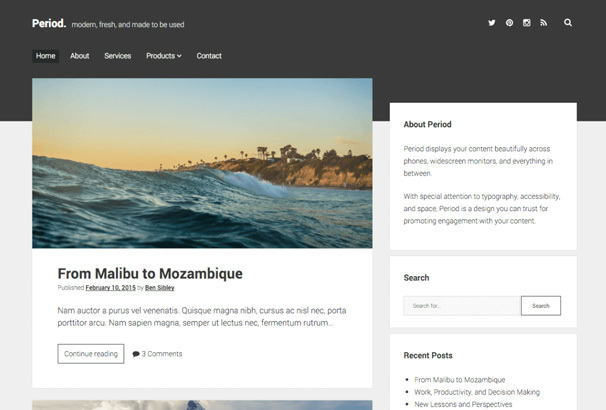 A really innovative and ingenious website theme for WordPress, Boron is just one of those themes that make a statement. 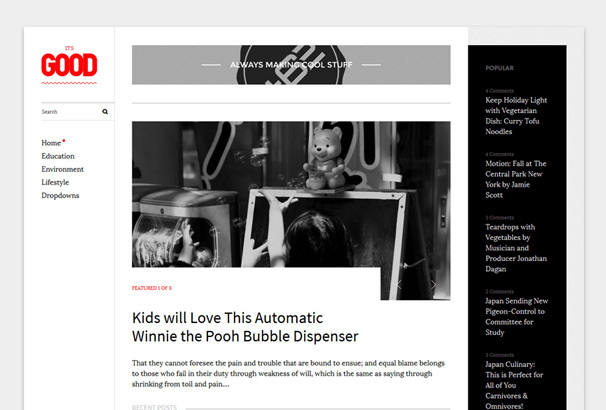 So diverse that it suits all sorts of content, Boron makes a powerful blog theme. Not only its exquisite design and imagery, Boron loads its content over Ajax which makes it technologically efficient. 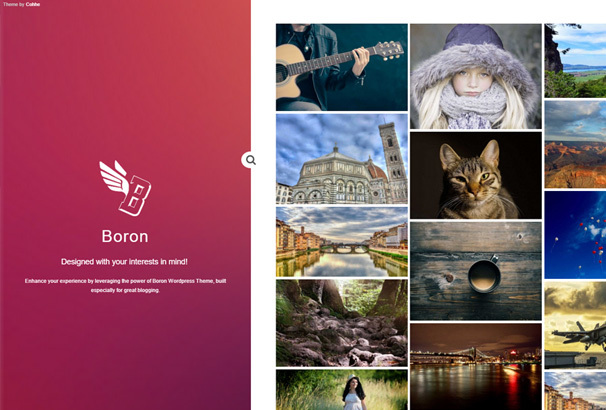 Perfect for pretty much everyone, Boron makes your content come to life. 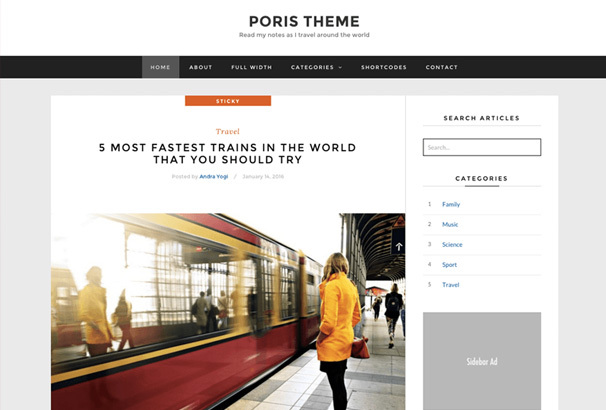 A really elegant and simple WordPress theme from ThemeWarrior, Poris is one of the most contemporary themes we have. Ideal for lifestyle bloggers or even bloggers in general, Poris has a really friendly and direct interface. It also comes with a sidebar with the search option and further categories. 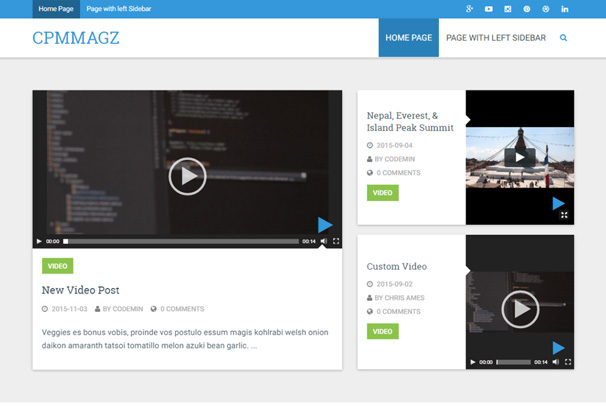 Its elegant colour scheme and subtle font is bound to make your viewers want to view your content. 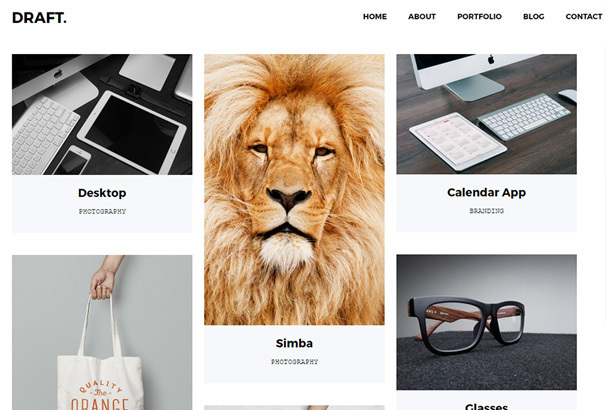 Vegeta is a really stylish and simple website theme that focuses on elegance and minimalism. It has a really powerful back-end owing to which you can easily customize this amazing website theme and put your own spin on everything. Vegeta comes with a really legible and subtle typography which adds to the simplistic charm of this theme helping you create a very amazing website. 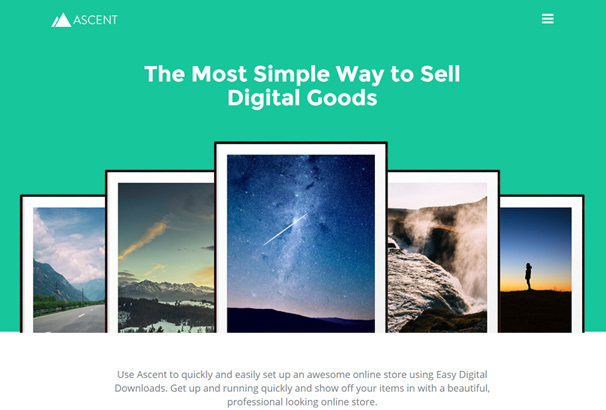 Ascent Light is one of the most responsive, simple and easy to use website themes that we have. 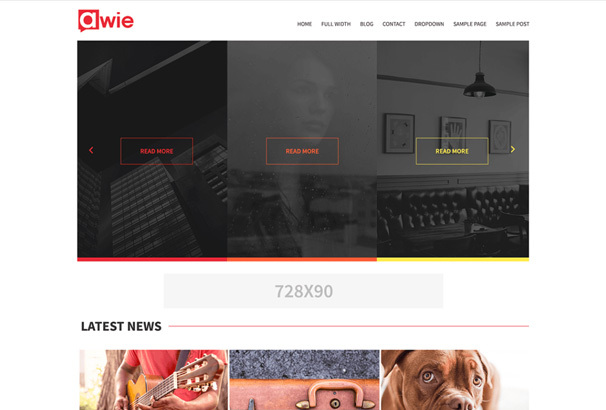 Built on the strong BootStrap 3 framework, this website theme minimizes the clutter and gimmicks and focuses on what really matters. 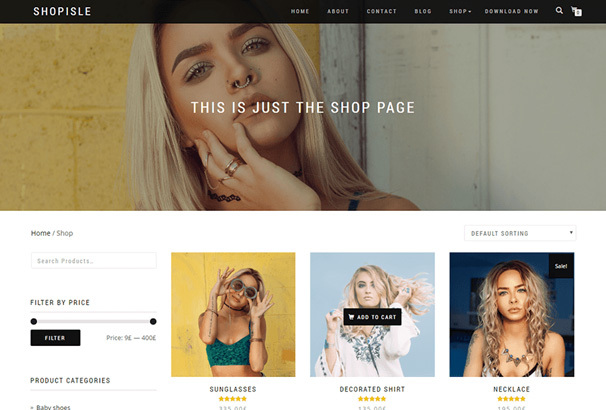 Whether you need your website to serve simply as a blog or even as an online store, this cool website theme is bound to meet all your needs. In addition to all that this theme also comes in a format that supports very easy digital downloads so sharing your content, be it music or videos, with the world becomes a whole lot easier with this theme. 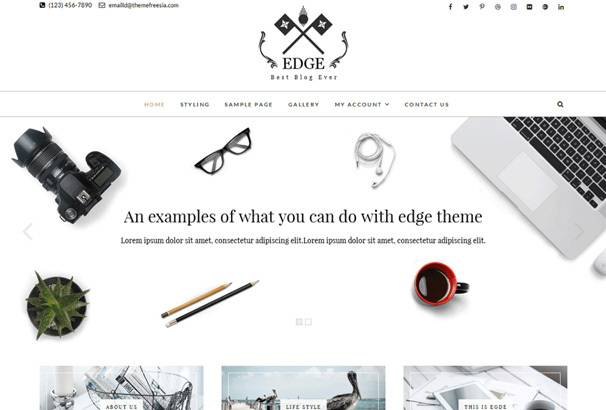 This simple and minimal website theme has a design so elegant that it is really pleasing to the eye. 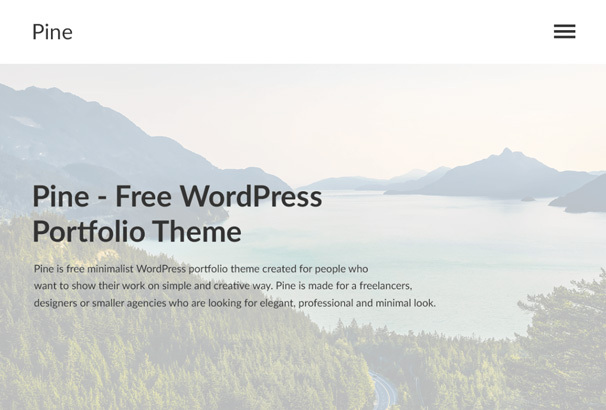 Perfect for all the people that want their website to have a really friendly and subtle interface, Pine suits all sorts of content from lifestyle blogging to professional use. It has a charming pastel colour scheme and a black font colour which makes your content stand out and shine. 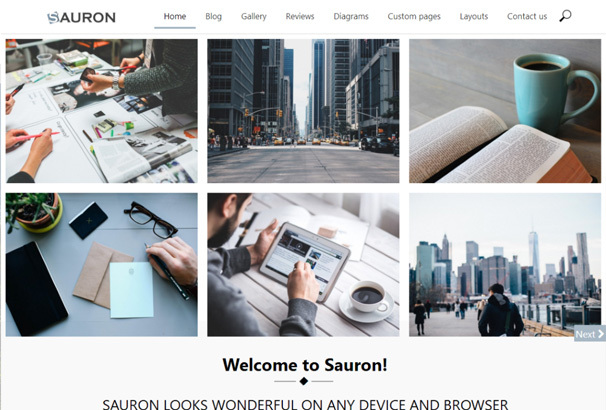 Whether you’re a photographer or a blogger writing about your fast-paced life full of diversity, Sauron is just the website theme for you. Its amazing imagery promises to make your viewers want to go on the journey that is life with you. Not only that, Sauron comes with a parallax technology and a sticky menu that is really easy to set up. To top it all off this theme is SEO optimized, making it one of the best themes we have. 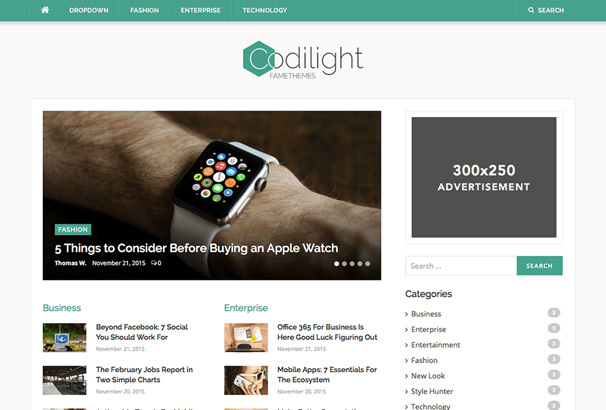 Codilight Lite is a website theme designed in the new magazine style. 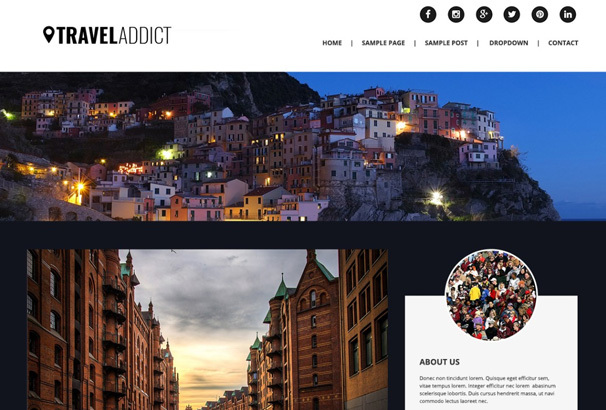 This theme is really versatile because due to its subtle yet professional design, this theme is suitable for both independent bloggers and even news agencies. 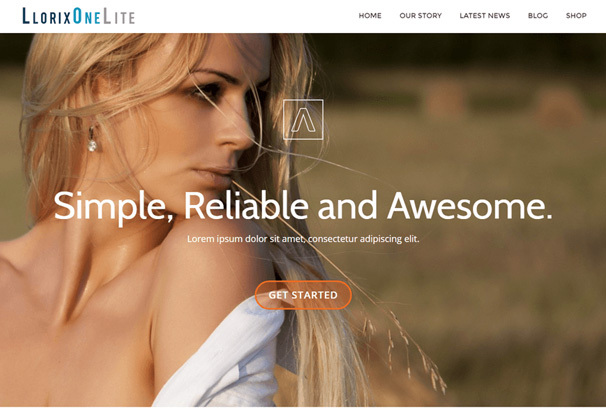 Designed to help you create a really elegant and professional website, Codilight Lite has a colour scheme and typography that is orderly and structured. 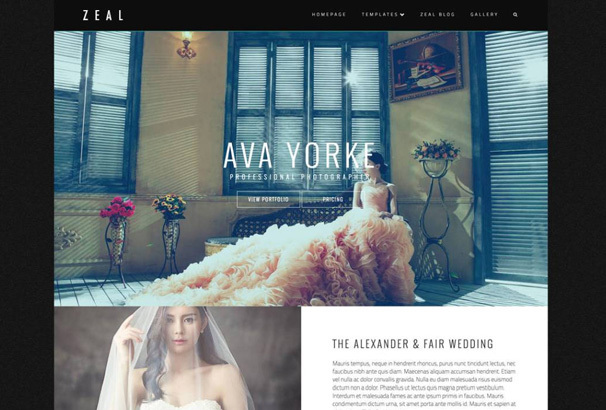 Designed purposely for bloggers and media houses, CPM Magz is a website theme that is highly professional and efficient. This theme comes with a really professional main page slider and a sidebar for plugins and information as well. CPM Magz and its professional design is bound to fit all sorts of businesses. 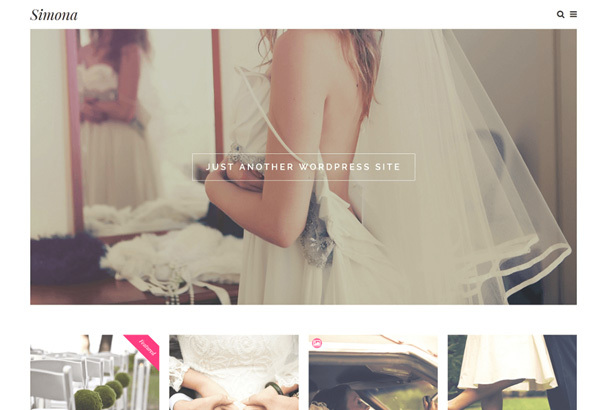 Simona is a really sophisticated and elegant website theme designed with the special purpose to help you create a really amazing wedding theme. If you’re a wedding planner, a wedding-dress designer, interior designer, or even if your product is something essential for a wedding, Simona is the best theme you could possibly have. It has a really chic and contemporary layout with the pastel colour scheme and the subtle font style. Even if you are someone that simply likes to blog about weddings and all things related to the event, this theme is the most exquisite you will get. Dyad is a really contemporary and trendy website theme. It has a really simple and elegant layout and imagery so alluring that the viewers are bound to be captivated. Designed to ensure simplicity and user-friendliness, Dyad is one of the best themes we have. Perfect for all sorts of creative people, whether you’re a photographer, an artist or a foodie, Dyad helps you create a really amazing website without knowing even a single line of code. Llorix One Lite is a more enhanced version of the Llorix theme. 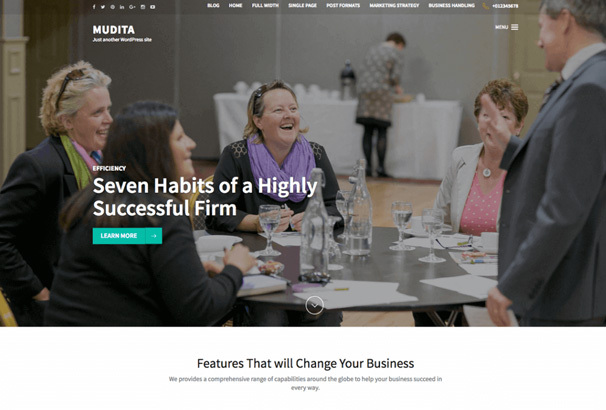 This one page business theme is one of the most amazing and simplistic website themes that we have. 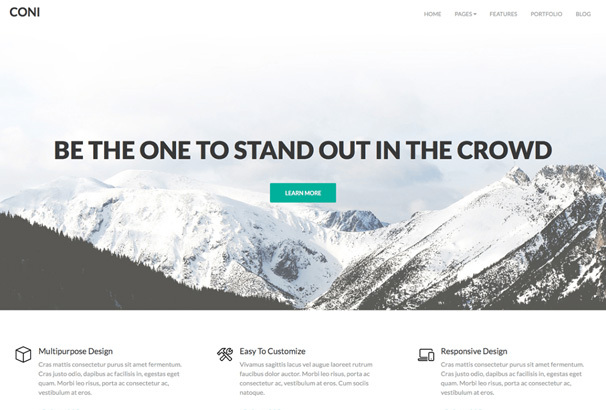 Based on the powerful BootStrap technology, this theme has a parallax effect and helps you create an amazing and lightweight website. Whether you need your website for a startup mobile app or an established personal business, Llorix One Lite is your perfect companion. 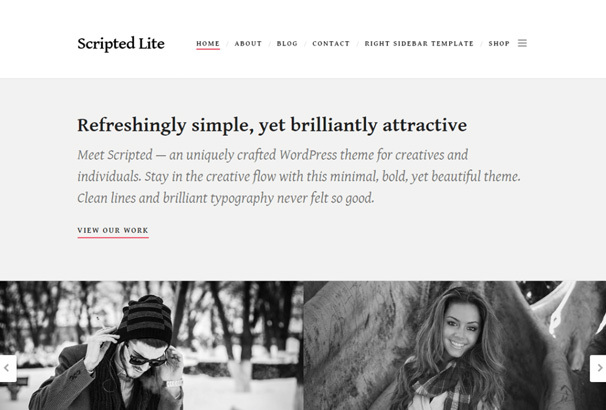 A fresh, simple and elegant website theme, Scripted has an inherently responsive and unique design. Its contemporary layout and the fact that it comes with a lot of amazing features makes Scripted a really dynamic and versatile theme. 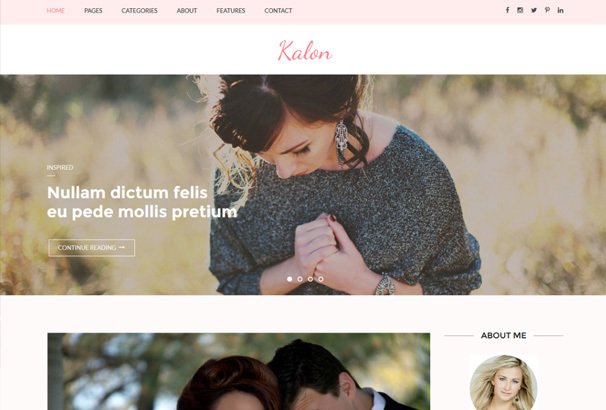 Designed to give maximum elegance and simplicity, this theme is sure to help you create an amazing website. A really modern and stylish website theme, OnePress has an impeccable design and is really professional as well. With its flexible and fluid functionality, OnePress has a design so professional that it appeals to all. 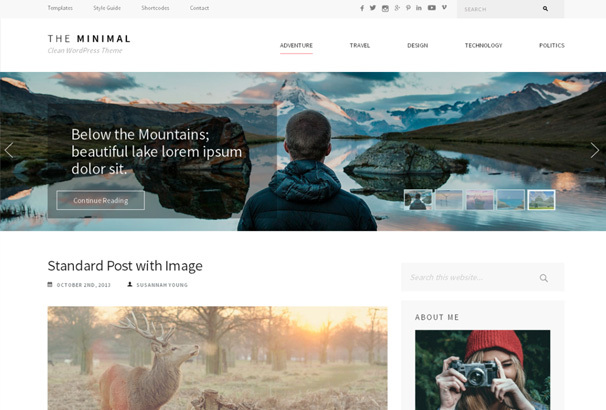 Perfect for all sorts of content, this theme is perfect for you whether you have a portfolio, a digital agency or a freelancer. Not only the design, this theme also has great speed and fluid functionality. 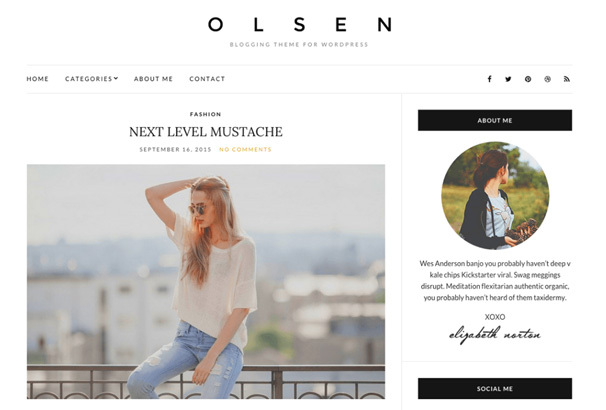 Olsen is a really minimal and contemporary website theme. It comes with a design and layout that is desired by all in general owing to the subtle imagery and white colour scheme. 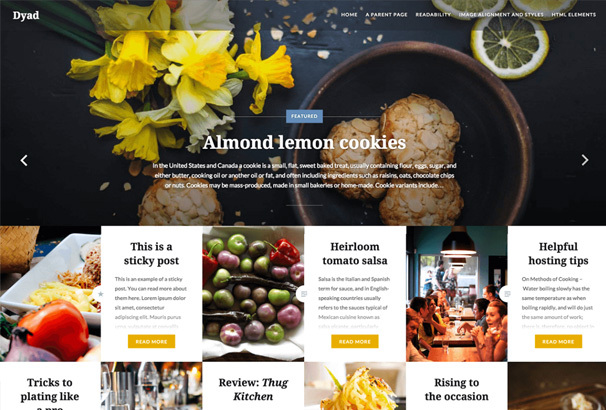 Designed in particular for blogging, Olsen has a really clean layout that lets you showcase your content in a really simple and sophisticated way. 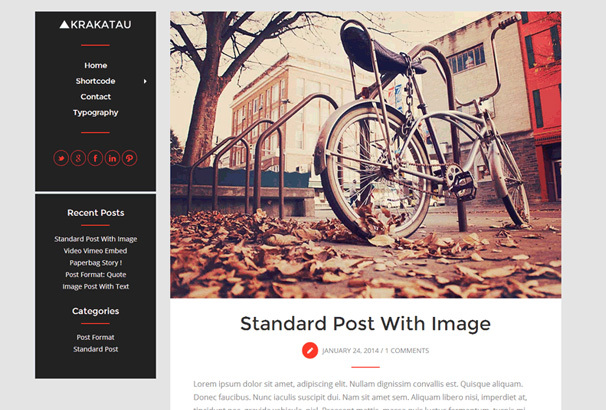 The free version of the bigger theme, Krakatau, Krakatau Lite is a wonderful blogging website theme. It has a really hip and contemporary design with its mellow colour scheme and subtle imagery. In addition to its impeccable design, Krakatau Lite has amazing functionality and runs really smoothly on all devices. 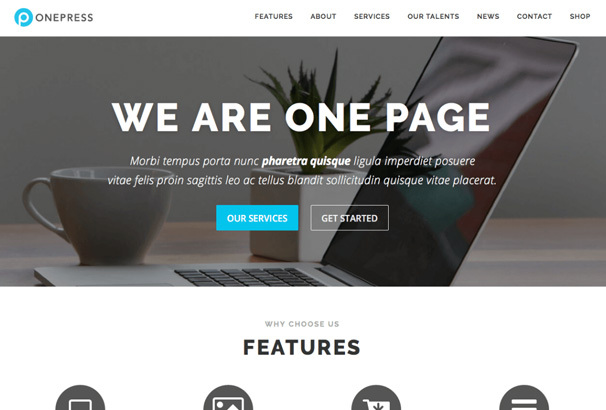 Using this theme you get a really elegant ready-made website with no work at all. 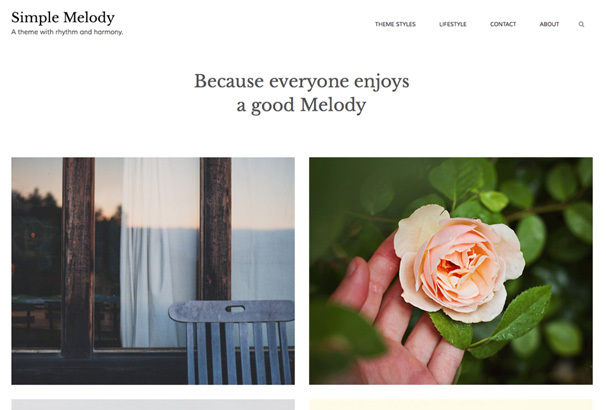 Simple Melody is a really sophisticated and elegant website theme. Its design is really unique and symmetrical making the theme in general very charming. All the elements in this theme, be it the design or the functionality, combine together harmoniously to create a really polished and exquisite website theme. 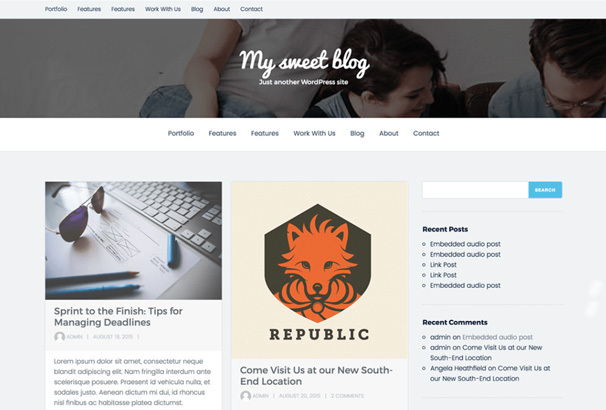 Simple Melody is a perfect theme for all the people that want something clean and sophisticated for their website. Coni is a really powerful and strong multipurpose website theme designed for business and corporate use. It has a really responsive interface and a really simple layout. The best thing about Coni is that it is highly structure having one front page and another separate section for other content including services, testimonials, clients, blog posts, features and imagery among other things. The main page slider has a bold font style and captivating imagery. A contemporary business website theme, Coni is perfect for everyone. 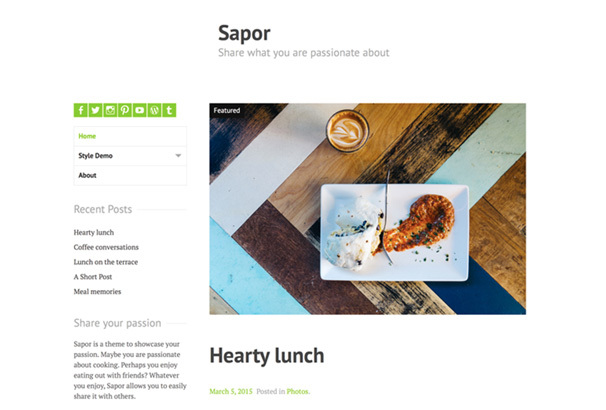 Sapor is a really unique and creative website theme with a design that is different from the usual. 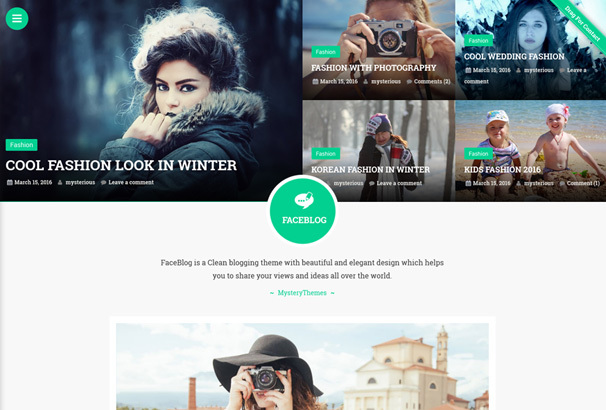 This website theme has a really creative design and it comes with a two column blogging layout. While you can post the content on one side, the other allows you to manage and see all other buttons and options. In addition to its elegant design, Sapor has an amazing speed and runs smoothly on all devices. 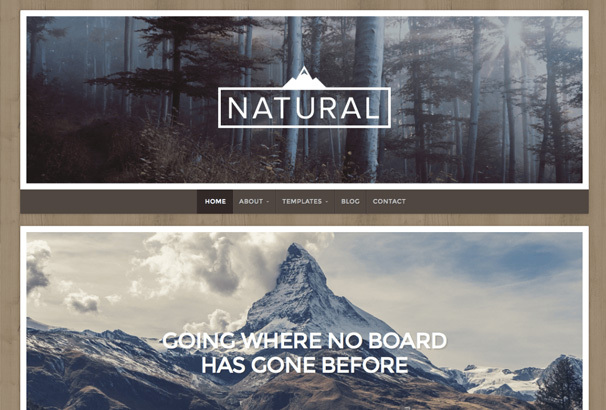 Briar is a really simple and minimal website theme for WordPress. 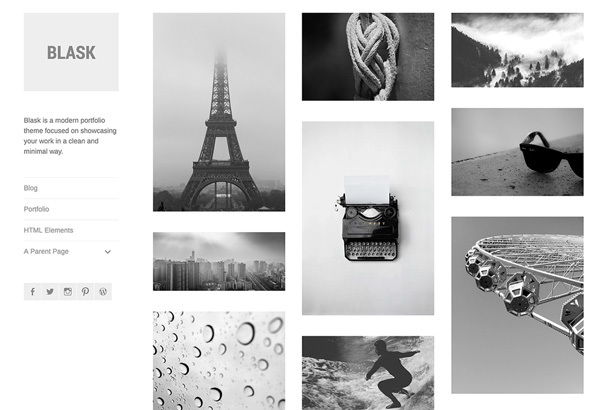 This theme is the ultimate example of how simplicity and elegance go hand in hand. 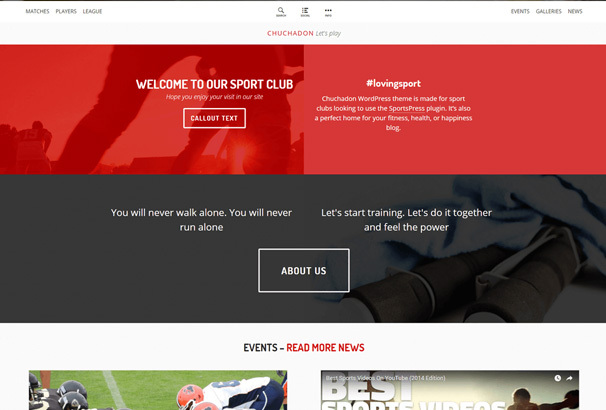 A simple white colour theme with a hint of red, Briar is perfect for professional and informative blogs and websites. Its elegant design paired with fantastic speed makes Briar one of the most professional and efficient themes we have. 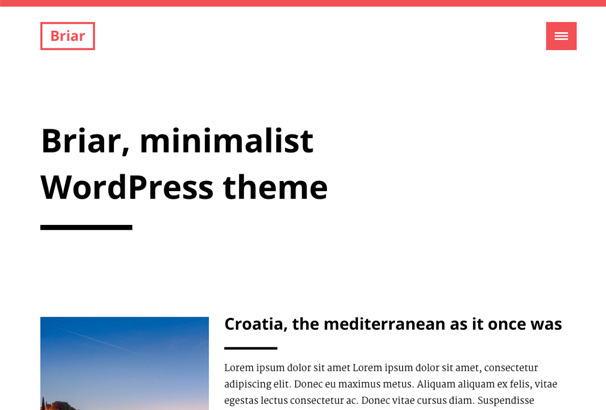 Oren is a really simple and minimal website theme. Perfect for portfolios and for showing your work off to the world, Oren has an impeccable design that is very uncommon. It is one of the themes that make your work come to life due to its amazing and lifelike design. With this theme you also have the freedom to choose your own logo and customize your website however you like. 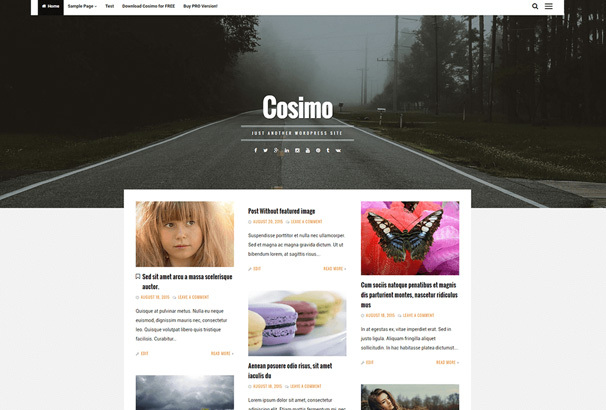 One of the coolest and contemporary free website themes that we have, Cosimo has a really trendy and upscale design which is not usually seen. It has a really responsive interface and runs really smoothly on all devices. Using Cosimo you get to make use of unlimited colour and theme options making it highly customizable and user-friendly. A really simple and elegant website theme, Kotha is famous for its minimal design and efficient functionality. 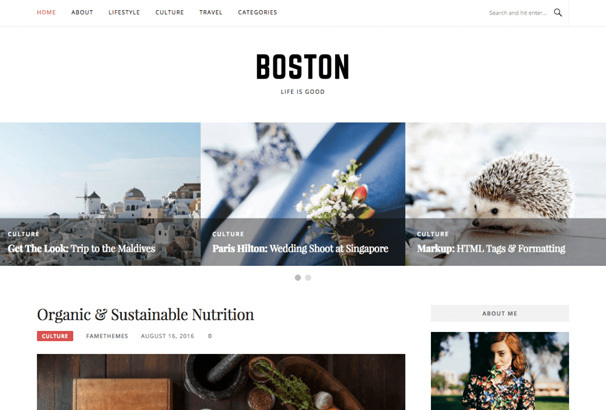 Perfect for personal, travel, lifestyle, food and storytelling blogs, Kotha helps you weave a story with its sophisticated imagery and elegant typography. 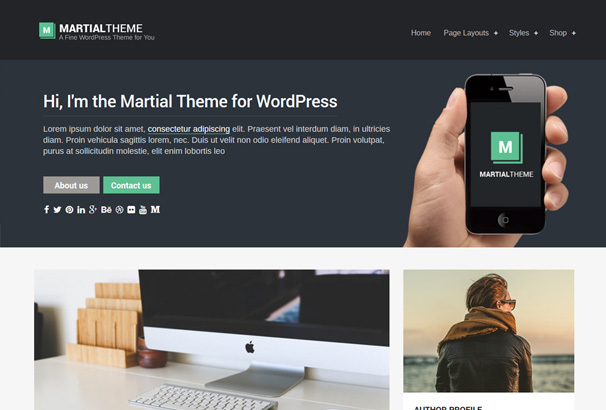 This theme is also highly responsive and fast and comes with a lot of amazing features. 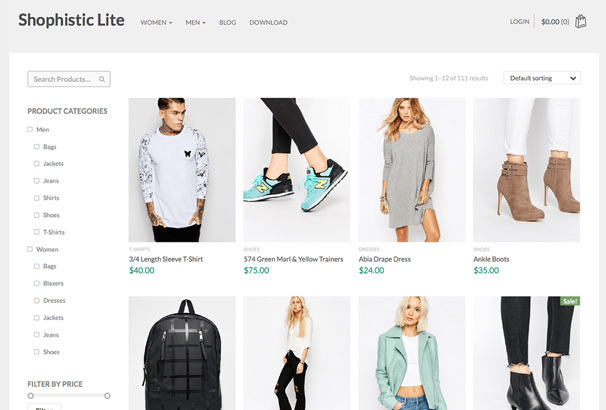 Shophistic Lite is a really simple and contemporary website theme for all sorts of online stores. It has a really trendy and elegant design that makes your products stand out. Its responsive design and WooCommerce integration makes Shophistic an amazing theme in general. For all the people looking to enhance the appeal of their products, Shophistic is the way to go. 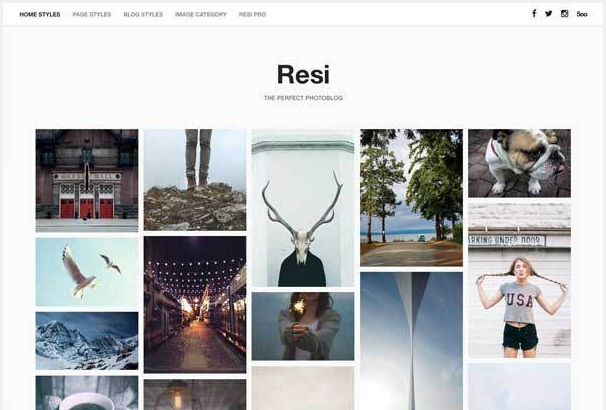 Resi is one of the most efficient and powerful website themes that we have. 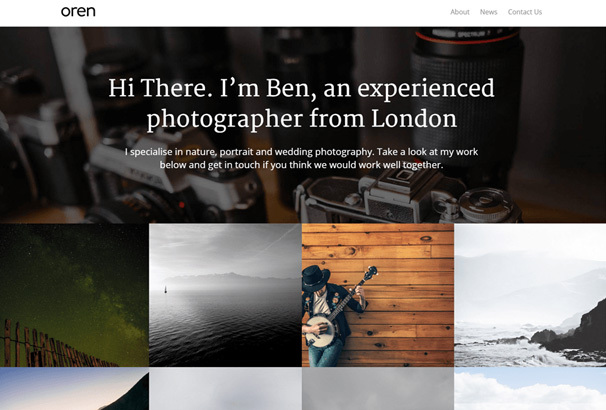 Using this website theme which is perfect for portfolios, you get to share your work and photos otherwise in high resolution with the world. 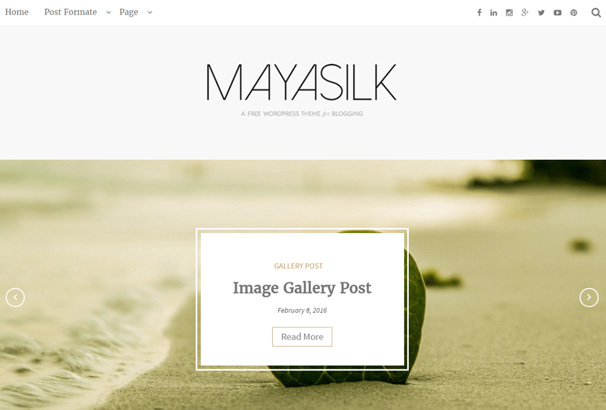 Its clean and simple gallery design allows you to build yourself a very stylish and organized website making your photographs come to life. 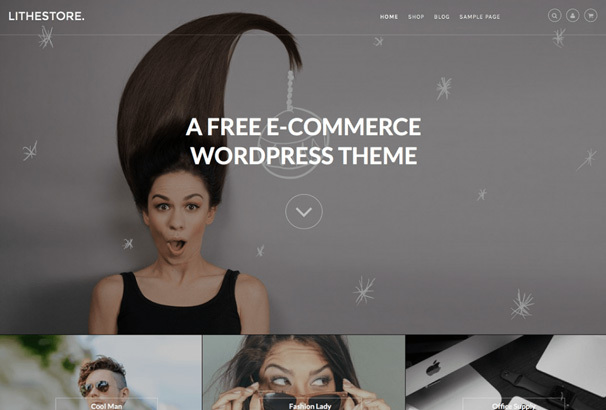 A website theme with a really beautiful design, Blask is one of the most chic and contemporary free website themes that we have. Perfect for portfolios, Blask presents your work in a really creative and minimal way to the world. Owing to its clean design, Blask minimizes the clutter and puts all the focus on your work. Its classy black and white colour scheme is bound to impress all. 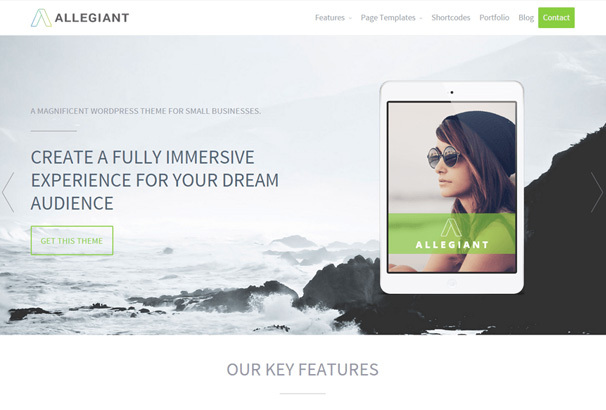 Allegiant is one of the best, simple and minimal website themes that we have. Particularly designed for professional and agency use, Allegiant comes with a full-width homepage slider, space for testimonials, featured blocks and a portfolio option as well. In addition to all its features, this theme has an elegant design that is impressive to say the least.